I needed something to start my pepper seeds in. I discovered that I still had a tray lying around from the old microgreens project a while back. 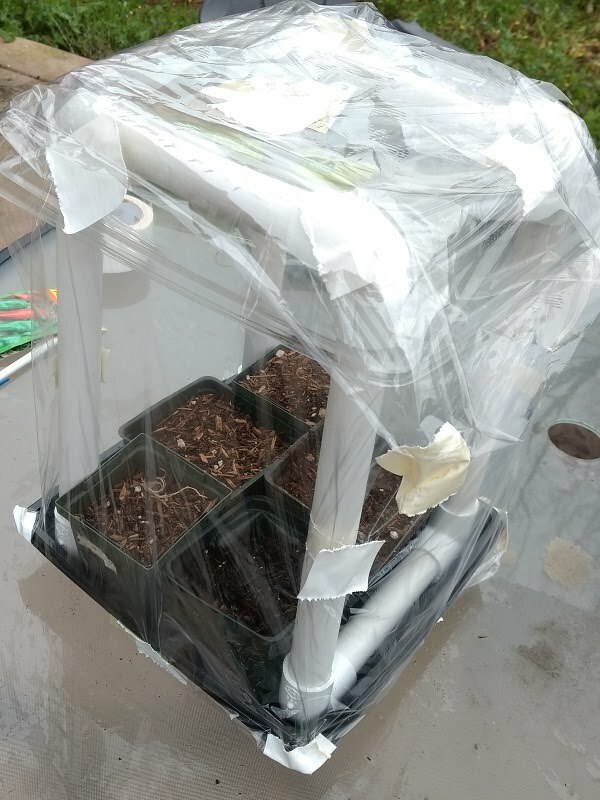 I also found some PVC pipe and fittings from a different failed experiment. 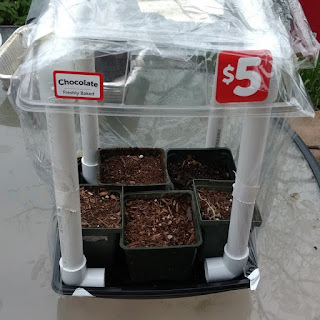 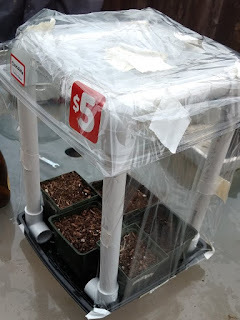 A few snips from the pipe cutter later, tape, and plastic wrap later, and I had a mini greenhouse to start my seeds in.